I’m a huge fan of attending small business conferences. 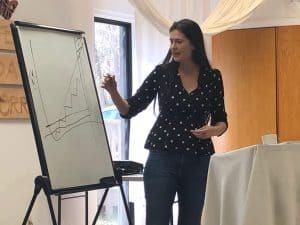 The ability to disconnect from your day-to-day routine to learn and build relationships with colleagues and influencers is always worth the investment, and I recommend adding conferences as a line item in your continuing education budget. While my must-attend each year is a financial media conference called FinCon, it can seem a bit overwhelming for newbies and introverts, especially since there were 2,000+ attendees at FinCon18 in Orlando. It can also be physically exhausting with the back-to-back sessions and keynotes, with little time to sleep and exercise if you’re trying to maximize networking opportunities. Therefore, I was really intrigued when I met the founder of CampFI, Stephen Baughier, at FinCon18 and learned more about his 4 day, 3 night all-inclusive financial retreats, capped at 60 campers. As I looked into CampFI, I saw that several of my colleagues and friends who I highly respect for their path to financial independence, including J.D. Roth from Get Rich Slowly, Chad Carson from Coach Carson, Doug Norman from The Military Guide, had previously attended or been speakers. (*Note: Doug wrote a blog post about how it was worth your time and money here.) As I looked at the pictures from previous CampFI and saw lots of outdoor pictures, including archery, canoes, and ropes course, I was hooked. The chance to talk about finances and participate in outdoor activities…seemed more like a vacation than a conference to me! When the tickets went on sale, I immediately purchased a ticket to attend my first CampFI. I recently got back from my first CampFI: Southeast. This was a great experience, and I highly recommend anyone who wants to learn more about financial independence and build meaningful relationships with those who also want to talk about money, happiness, and financial independence to attend a CampFI. 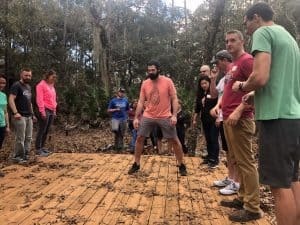 If you want more reasons for why you should attend, here’s a list of the top 15 lessons learned from my first CampFI. 1. Travel Costs – Coordinate your travel schedules with others to decrease your costs, especially if the conference/retreat location isn’t close to the airport. For the Southeast location, just outside of Gainesville, FL, the closest major airport was Jacksonville, which was about 1 hour and 20 minutes away. Uber didn’t seem like a good option, nor did getting my own rental car just to park it onsite for four days seem like a smart money decision. Otherwise, total costs to attend a conference, including flights and transportation to/from the airport and event, can really add up. Example – Typically, I wouldn’t choose a 6am flight (which means waking up at 4am), but after seeing one person in the private Facebook group post about his flight arrival times into JAX and offering to share rental car costs, I booked a flight that arrived around the same time. Rental car and gas only cost me $33 for 4 days since it was split among four people. 2. Friendly Faces – Find ways to meet a few people ahead of a conference to have a familiar face in the crowd. If there’s a private Facebook page, join it and interact with people ahead of the conference. Example – Since I carpooled and was in the car (plus grocery store) with Eric, Steve, and Archie for about three hours before heading to camp, everyone assumed we were all great friends by the time we showed up. 3. GPS Failure – Ask for detailed directions ahead of time, especially if cell phone signals aren’t great in the area. Save an offline copy of the map or print a hard copy just in case. Example: We decided to not rely on our printed directions because we took a little detour to Trader Joes (Archie was from Canada and always visits a TJ when she comes to the U.S.) and we weren’t coming straight from the airport per our printed maps. With the GPS telling us that we were on the right path and about 10 minutes away from the camp, we ended up going down a bumpy, deep sandy path for about 10 minutes and almost got the rental car stuck. While the sign said private property, we went through the first unlocked gate, assuming that the sign was for the campsite. We even passed an Uber driver, who told us we were going the right way since he just dropped off a passenger by the next gate. We kept driving, but then we got to the next gate, which was locked. As we stopped the car to figure out what to do next, a man with shotgun came up behind us with his truck, got out with shotgun in hand, and told us that we were trespassing!?! He was not pleased and asked why we didn’t read the signs, and wanted to know why we unlocked the first gate to enter his property. After a few minutes of the man yelling at us for trespassing, we asked how to correctly get to the camp. The man reluctantly let us through his private gate to get to the camp site the back way from his private property. Needless to say, we were all a bit shaken up since this man was clearly not joking, especially with his shot gun in hand the entire time. I quickly posted a picture and advice to the private Facebook group, telling them if they happen to see a long sandy path…to turn around since it was private property and to avoid the man with a shotgun! 4. All-inclusive – Creating an all-inclusive conference or retreat can remove a huge barrier for participants. Otherwise, costs for attending small business conferences can get expensive if your only options (or quick options before the next speaker) are limited to hotel restaurants and hotel coffee shops. Example: For CampFI, the only extra costs for food/drinks outside my ticket were my food and drinks at the airport, groceries for drinks and extra snacks at Trader Joes, and my Costco-sized Kit Kats that I brought in my luggage for shared communal snacks. 5. Bigger isn’t always better – Creating a smaller conference with limited capacity can attract participants who get intimated by larger conferences. Stephen limits each CampFI to 60 people, which creates an environment that can be easier to meet and get to know people on a more meaningful level. 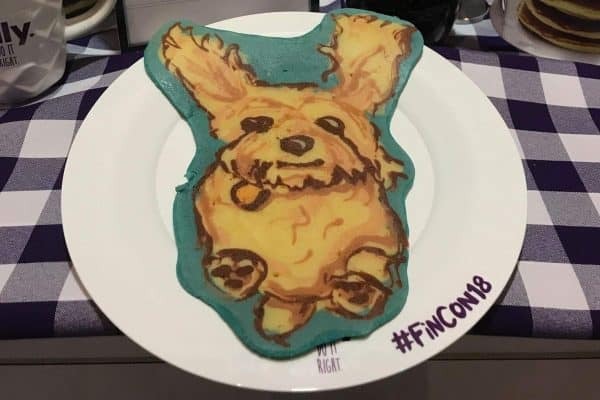 Example: A few people told me that the idea of attending FinCon seemed too daunting for them as a first timer, and they felt that CampFI was less intimidating for their first financial event. 6. Mistakes – Joel from FI180 shared in his financial independence talk, “If you save 50%, you can afford to make mistakes.” While he was referring to how he answers people who ask what if he realizes later that he made a mistake in retiring too early, you can also apply this concept to business. If you saved 50% of your net income, you can afford to try out new products or services and test out your business ideas. 7. Worst Case Scenario – Joel from FI180 also said something that really resonated with me. He said, “My worst-case scenario is everybody’s every day scenario.” Joel was giving advice about not worrying about the worst possible financial scenario and not being able to recover, since that’s what most people deal with daily. Advice – If you have a tendency to procrastinate or get stuck during analysis paralysis, one exercise you could do is to write down the worst possible outcome for each option. Then, decide which outcome you could live with. 8. Weaknesses – Don’t be afraid to share your weaknesses or information you find embarrassing, especially if it will impact the team’s success. 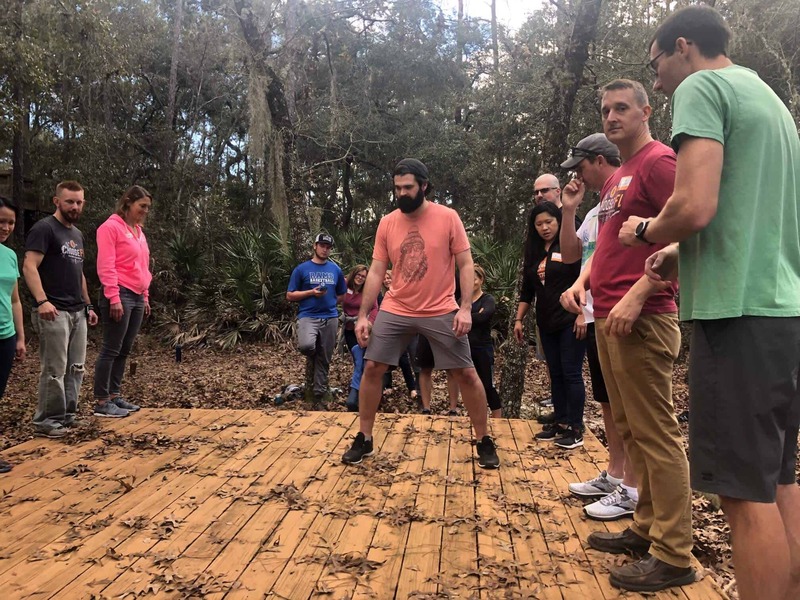 Example – One of the ropes course challenge was to create a perfect human balance on a giant see-saw board, and the team who completes the challenge the fastest is the winner. While this can be pretty easy with two people, add 10+ people per team and this can be quite a challenge. My team knew that we had to quickly figure out how to balance the board by dividing the team into opposing / equal weights. One of my teammates, Josh from joshovermyer.com quickly started by shouting out his weight, as he knew he was the biggest and tallest team member. He figured by sharing his weight, no one else should be embarrassed by sharing their weight. I was the first female to share my weight, then, the rest of the team followed so we could divide our team and have people “pair” off. Once each person found their match, those two people would move in the opposite direction on the see-saw. 9. Failure – “Fail often so you can succeed sooner.” – Tom Kelley. This is a great quote and lesson for all entrepreneurs. Fail fast, learn and adjust quickly, then try again. If you fail the first time, it doesn’t matter if you learned and can adjust. Example – For the giant see-saw challenge, the other team decided to go first, so my team had about five more minutes to complete our strategy. As we watched the first team do what we had planned to do, we realized it was a pretty slow process. And remember, each team was being timed and the team who successfully completed the challenge the quickest was the actual winner. Team 1 attempting to create the perfect balance. One of my teammates suggested we adjust our strategy, and said if it failed, we could go back to original plan. Well, his strategy did fail, but we failed fast and Josh (our anchor) said that he knew exactly what he did wrong, and told us to try again. So, we tried Plan B again, but failed a minute later. But, on our third attempt with Plan B, we completed the challenge within a few minutes, which I believe was about five minutes faster than the other team! 10. Do What Matters – Retiring early isn’t about never working again, but being able to do what matters. 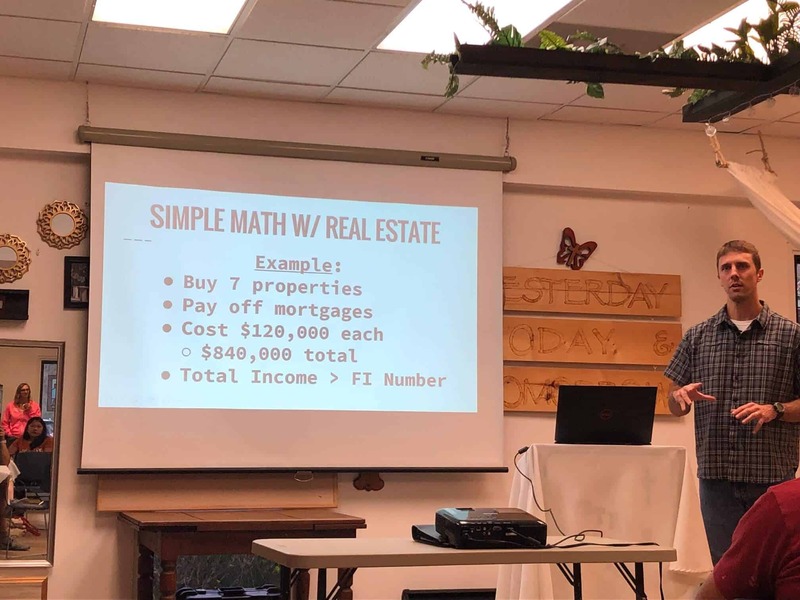 Example: Chad Carson, author of Retire Early with Real Estate, spoke about how he and his business partner own 90 rental units together, and that the rental income covers all his family’s living expenses. Being a full-time real estate investor allowed Chad and his family to spend 17 months living abroad in Ecuador, embracing a new culture and providing an environment where his daughters became fluent in Spanish, something that was important to Chad and his wife. 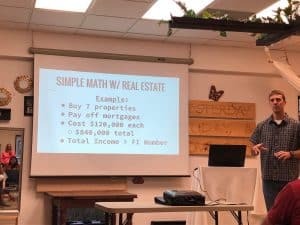 While Chad is financially independent, he is passionate about teaching others how to retire early with real estate. He wrote and published his first book while living abroad, launched his online course, and most recently started a podcast. Coach Carson explaining the simple math of real estate. 11. 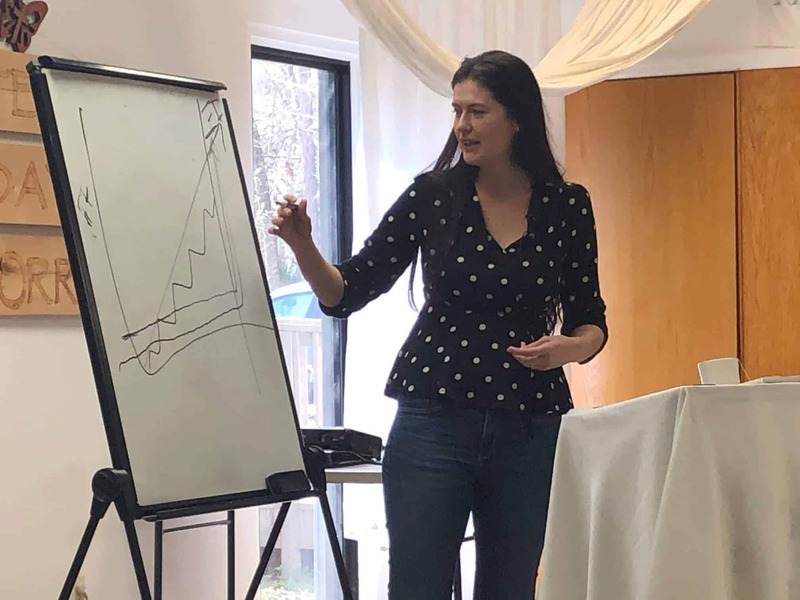 Super Powers -Jillian Johnsrud from Montana Money Adventures encouraged everyone to work within your super powers. Beware of promoting employees because he/she did such a good job doing one skill, but in the new position, they will be doing less of that skill and will actually be doing more of “X,” which isn’t in their superpowers. Advice: I’m a huge advocate for hiring independent contractor or freelancer on Upwork to do graphics design, data entry, etc. .
12. Leverage Others – Don’t feel like you always should re-create the wheel. You can leverage messages and ideas from others, and modify it to make it your own. Example: Nick True from Mapped Out Money leveraged Jillian’s white board drawing of the Financial Independence and Happiness graph from her talk, modified it, and added a new slide for his presentation that was just five hours later. 13. Question Your Goals – Don’t be afraid to change courses if you no longer feel passionate about your goals. Nick True from Mapped Out Money, shared during his session how he and his wife did everything that was “expected” of them – got the good grades, went to the good college, got the good degree, had a good job, etc. but they still weren’t happy. When they started questioning their goals and changing their path, they found what made them happy, improving their relationship at the same time since they were both now doing what they loved. Example: Also, share your goals. Others may just help you realize those goals. 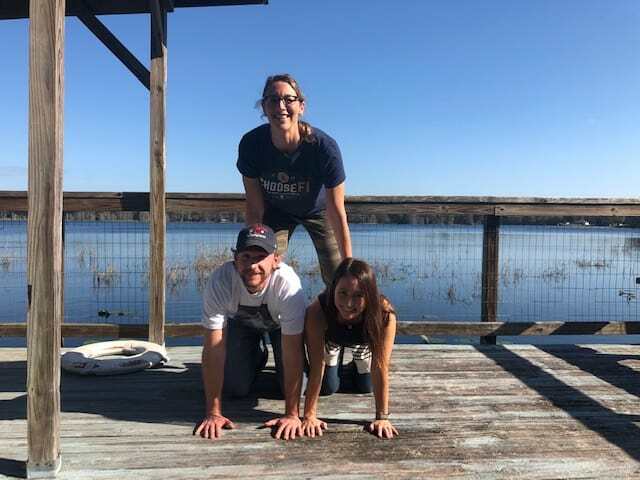 Deanna from Ms. Fiology shared with a few people that for her upcoming birthday, she wanted to do a human pyramid. On the last day of CampFI, several of her new friends made that happen! Making her birthday goal come true! 14. Finish Line – Seeing the finish line can give you the boost you need to complete a major task or deadline, especially when you feel like giving up. Therefore, consider creating a detailed checklist, roadmap, or project plan for big goals that you are trying to accomplish for your business, such as publishing a book or launching an online course. 15. Inspiration – Being around other successful entrepreneurs and like-minded individuals can be a great source of inspiration. Also, seeing others accomplish the same dreams that you have can make it seem more feasible and motivate you to act sooner than later. ChooseFI – Brad Barrett and Jonathan Mendonsa started their blog less than a month prior to CampFI in January 2017. They’ve since started a podcast and have an active ChooseFI Facebook group of 33,500+ members. Fly to FI – Cody Berman launched his website after CampFI Southeast in January 2018 and then started a podcast that became TheFIShow after CampFI South 2018 about eight months later. 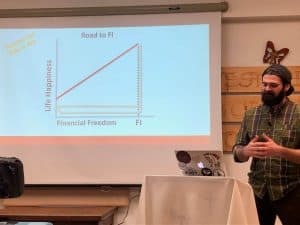 Financial 180 – Joel LaRosa created his blog at CampFI over two years ago, and was a speaker at CampFI Southeast in January 2019. Summary – Is it Worth Going to CampFI? For those of you who want to go down the path of financial independence and/or don’t have people in your circle of friends who are comfortable talking about money, this is one conference and retreat that you’ll want to experience. The founder, Stephen Baughier, does an amazing job of balancing the speaker sessions, camper-led breakout sessions based on interested topics (optional), and creating 3 hours of free time and recreation in the daily schedule, including team building ropes course, basketball, walking trails, canoeing, archery, etc. 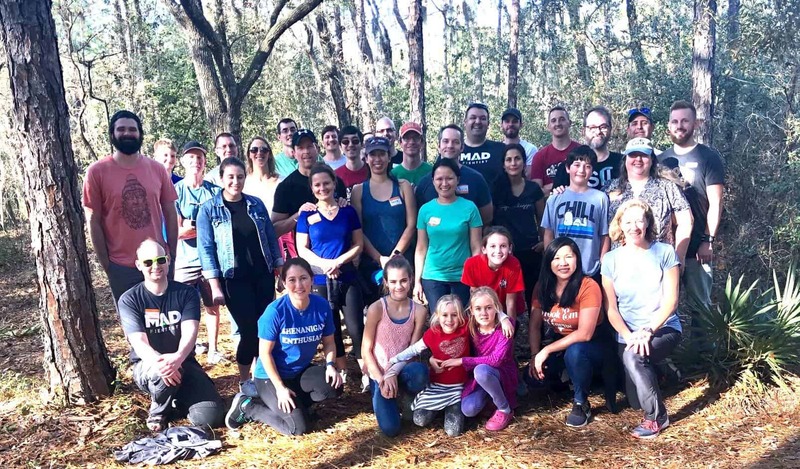 Check out the upcoming CampFi events here, register, and get ready to be inspired, build life-long friendships, and potentially change your entire course of your financial (and entrepreneurial – blogging/podcasting) future. If you have any questions about attending a CampFI or what’s the best path to financial independence, leave a comment and I’ll do my best to answer them or point you to the right resources! Such an amazing write-up of an absolutely incredible weekend with people who felt like lifelong friends! See you at FinCon! It was great meeting you, Josh! Definitely – see you in D.C. later this year! Great summary of the weekend! CampFI was definitely worth it and my husband and I look forward to coming back. It’s great way to start off the new year. Thanks for reading and commenting, Kim! Look forward to seeing you at another CampFI! It was awesome doing the circuit workout with you. Reading that makes me not want to give up even when I don’t know how much time is left. Thanks for reading, commenting, and sharing, Deanna! It was so great to meet you. Yes — giant human pyramid for your next birthday and CampFI! I’m so glad we did the circuit training together, too. You helped me with my 44+ days of daily exercise habit! I look forward to reading and seeing what goals you have for this year with your blog! Outstanding detailed capture of your experience, Sylvia. It was a pleasure meeting you and I look forward to our next visit! David, thanks for reading, commenting, and sharing! It was so great to meet you and be a part of this amazing, giving community. Look forward to spreading the word and meaning of financial independence! 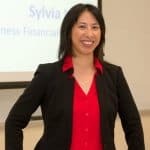 Sylvia – Thanks for putting together such a great recap of this fantastic event! It was awesome hanging out with you and so many others who quickly transitioned from strangers to dear friends. Brad and I are definitely planning to attend again! Rebekah, it was so great meeting you and your husband, and doing the 7:30 am morning walks. I’m totally with you and Deanna on Lesson Learned #14. I need to be able to see the finish line! I loved chatting with you about your desire to start a financial coaching business. Let me know when you’re ready to talk more!